The increasing trend of vehicles crashing or breaking down for various reasons has resulted in a high demand of towing service companies. Breaking down of a vehicle is something stressful, and because there are various towing service companies, you are left at crossroads in deciding which company to contact. A safer towing service approach that is fast and effective in responding is all you need.In this situation, Heyburn ID Towing Service Company is all you need. At Heyburn ID Towing Service Company, we understand the anxiety that you experience during this trying period; that is why we are always punctual to arrive at the scene in the least time possible. We then tow your vehicle to your preferred facility for repair in a safer approach as we would not risk it to more damage like dents while towing it. Time consciousness is one of our major policies and as such, we always arrive at the scene on time. This is to make it possible to be able to salvage the situation in a timelier manner because delaying might cause further accidents especially if the vehicle broke down or got the accident along the road. At Heyburn ID towing service company we handle our towing services in a more professional way to our esteemed customers as we value you. This is because, with professionalism, you can never go wrong in business related matters and thus leaving you, our customer satisfied in your quest to be served. We, at Heyburn ID servicing company, have been in the towing industry for 15 years and as such, we have experience and vast knowledge to carry out our services in a quick and reliable manner thus leaving you satisfied. There are semi-trailers that make their way through Heyburn all the time, whether they are stopping off from the highway or are deliver freight to different businesses around town. Any big rig that breaks down or is involved in an accident around Heyburn can call us for a reliable tow and expert drivers with years of fifth wheeler heavy wrecker experience. Our trucks can handle a quick and efficient tow, no matter the extend of vehicle damage. We also have a professional staff that is willing to help you every step of the way from the time you call to the processing of your claim. Being Wreck Master Certified, our drivers have vast knowledge in ensuring that your vehicle is well taken care of. All of our drivers have been additionally trained to provide fast and convenient services that suit your needs. They also have the skills and experience to comprehend your vehicle’s problem thus assisting you where possible. In case you seek to know about the driver that will cater for your towing services feel free to check on “Our Team” page. As Heyburn ID Towing Service Company, we have been working with AAA for several years devotedly ensuring that the AAA clients get fast and dependable services. The AAA clients don’t necessarily have to call AAA; they are allowed to call us directly for fast and effective towing needs thus saving them time to continue with their daily lives. 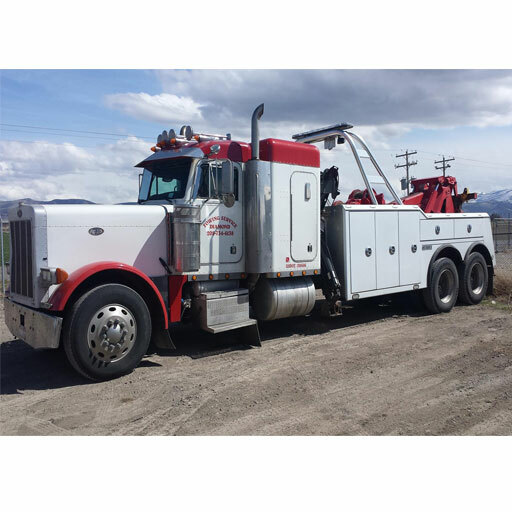 What makes Heyburn ID towing service company stand out, is the way we exercise our prowess and expertise in the towing services we render to our customers. This is because we carry out vehicle towing in a more professional way in the least time possible. We tend to go an extra mile to assist our clients with legal paperwork if the vehicle was involved in an accident that is if the customer requests for it, as you know, the procedure can be stressing at times. Heyburn ID Towing Service Company is readily available 24 hours a day. To save time we appreciate when you give us the exact location where the vehicle broke down, type and size of the vehicle. This enables us to not only be able to arrive in time at the location, but also to come with the required truck for towing considering the type and size of your vehicle. There is absolutely no valid reason to be stranded once you get stuck when your vehicle has broken down. Feel free to call the experts on (208) 878-4357 to attend to you because Heyburn ID Towing Service Company is your listening and caring partner. Be sure that we will not only offer our services in time but also in the required manner.